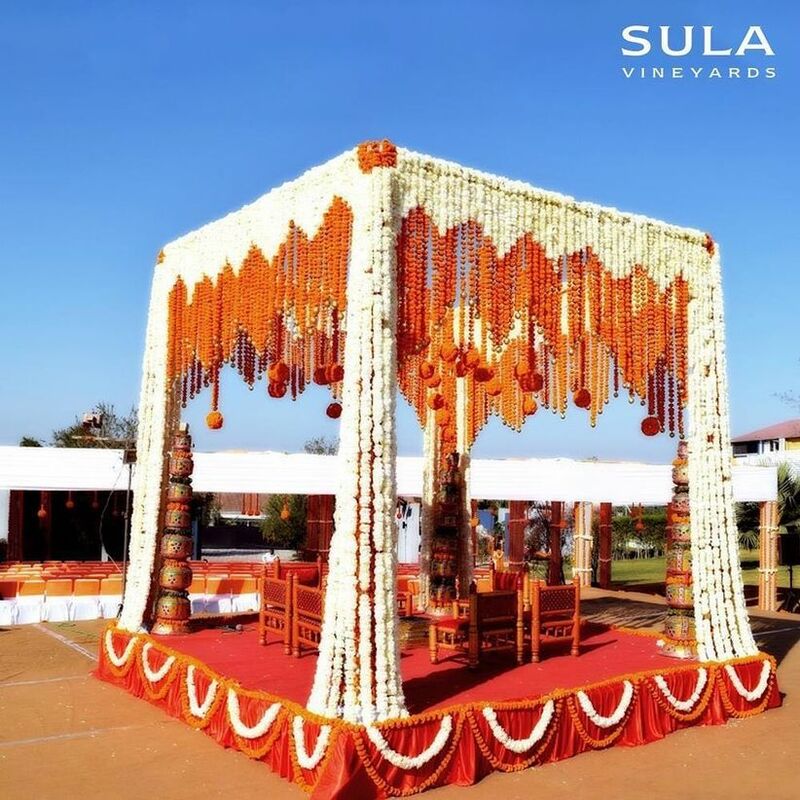 Host an Unforgettable Wedding at Sula Vineyards with the Right Details and Information | Wedding Tips ARE YOU A VENDOR? 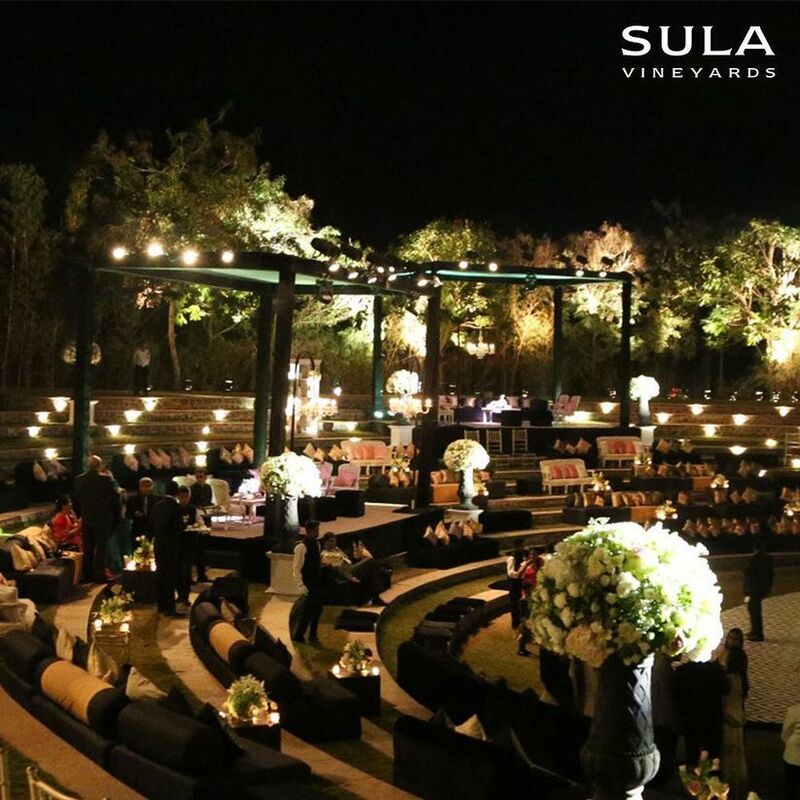 Host your wedding functions at one of India’s most exotic locations - the Sula Vineyards! Here are the essential details you’ve got to know about before planning your wedding here. Planning a wedding at Sula Vineyards is ideal for brides who love luxury, exotic locations, and a touch of nature to tie it in altogether. If you’re considering getting married here or hosting a few events at this venue, keep reading to find out more about décor and wedding ideas. One of the venues that Sula Vineyards boasts of is their unique Greek Amphitheatre. 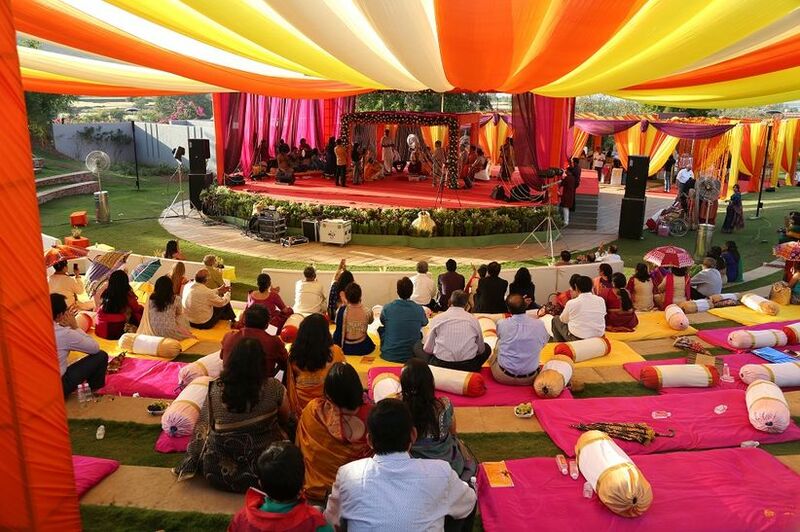 Primarily used to host music events during SulaFest, this amphitheatre can be an amazing spot to hold your wedding functions. With semi-circular seating radiating from the stage in an upwards slope, this spot is ideal for performances. 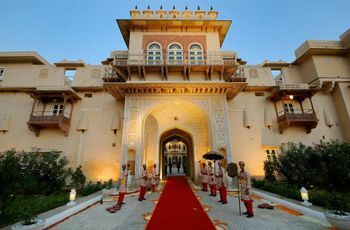 So, if you’re planning to have a traditional Sangeet ceremony, you must consider throwing it here. The structure of the stage and the area around it is such that none of your guests will miss your performances, no matter how far they sit from the stage itself. The fact that the area has a tiny green room is another bonus for Type-A family members who’ve got costumes prepared for their dances! Of course, you do not have to only limit yourself to a Sangeet ceremony. The 1.5 acres of pristine greenery that surrounds the amphitheatre ensures that this spot looks great during the day too. Thus, if you want to host day-time ceremonies, such as your Mehndi, you can do so with ease. A great way to ensure this function’s success is by getting professionals to erect a tent so that none of your guests has to deal with the sun. You can use the stage area for Dholki singers – a traditional part of most Mehndi functions, or allow Mehndi artists to sit there. 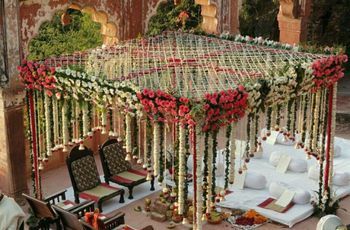 For a wedding function, you can use the stage to create a lovely mandap area, with seating for your close family and friends. The radiating seats outside of the amphitheatre ensure that all your guests can enjoy a great vantage point while the ceremonies take place. 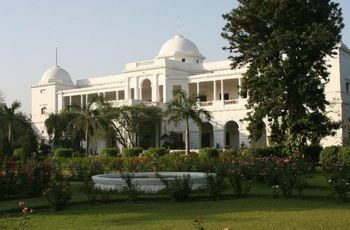 As this venue is quite close to the Gangapur Lake, you do not have to worry about humidity or an uncomfortable ambience. The cool air blowing over from the lake can help you create a very relaxing vibe. Finally, the Greek amphitheatre can also be a great spot for a reception party. The stage can be used the way traditional stages are during receptions, with chairs for the bride and groom. Guests can mill about and enjoy themselves while the function takes place. 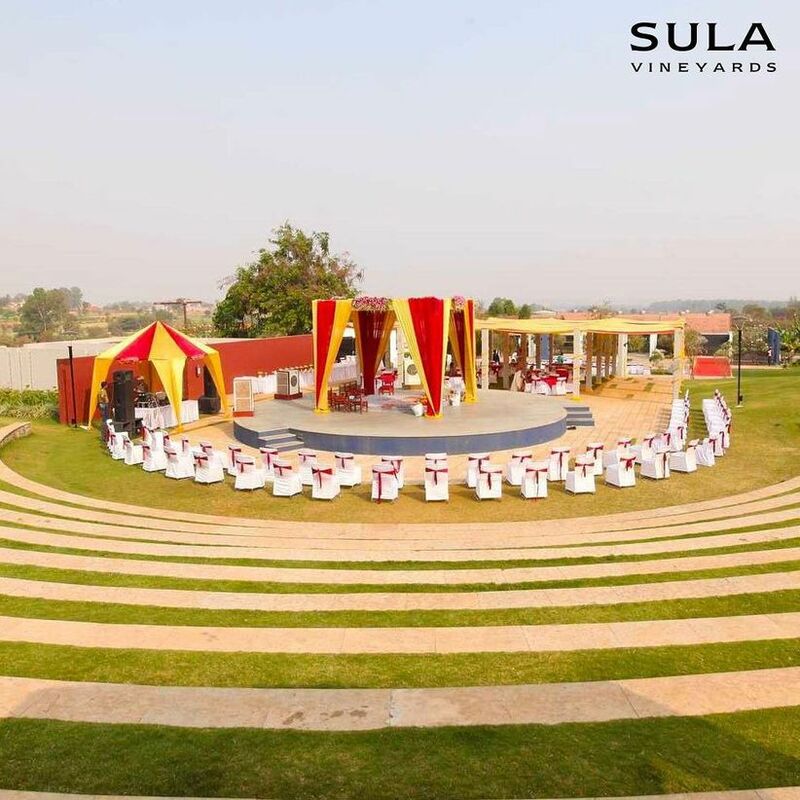 If planning a wedding ceremony at Sula Vineyards sounds great to you, you must keep in mind the following information so that you can make informed decisions. To start with, the venue can hold anywhere between 500-2000 guests, making it ideal for functions with small and large guest lists. The cost for booking Sula Vineyards varies as per your requirements, however, the base cost is Rs 1,50,000. You can arrange for outside catering when hosting an event here, however, they do provide catering services too. Transportation services are a part of their hospitality package, so you can ensure that your guests from out of town have someone to pick them up and drop them. Where should your guests stay? The vineyards offer accommodation in the form of 33 rooms, which you can use to put up your guests from out of town. Beyond By Sula is an idyllic property right on the banks of the Lake. It can be a great place to set up your guests, or even book a bridal suite for your wedding night. After all, very few experiences can match waking up to the sound of water and nature in a 3 bedroom Villa stocked with Sula! If you are planning more than one event at the Sula Vineyards and are planning to let some of your guests stay at their property, you must sign them up for bicycle rides through the vineyards too. You’ll certainly end up with wedding your family will be talking about for ages. With rolling hills in the background and a glittering lake nearby, Sula vineyards offer a great venue for the most important day of your life. If you are looking for a venue that is unique and beautiful, then this one certainly is. What really works for it is the fact that you can plan any wedding function here, and enjoy great wine while you’re at it! Browse through the list of expert photographers who can help you capture your picturesque wedding.